You are here: Home / Better Sleep / Sell Me a Nap…Please! In researching the pros and cons of naps, I found that there are benefits to naps, and certain durations are more ideal for the type of “tired” you’re feeling. 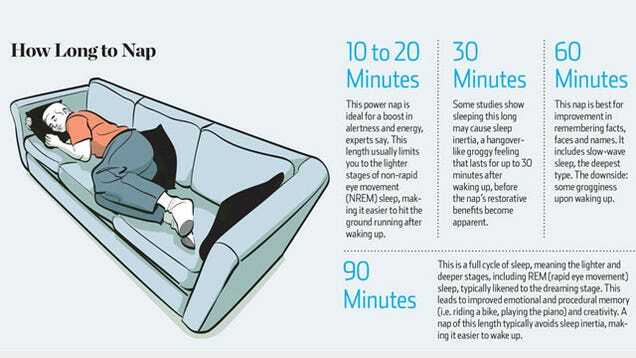 Now, when thinking of the 10-20 minute nap, it fits PERFECTLY into the Better Sleep Council’s advice on naps and trying out a new mattress. Bear with me here as I try to make this all fit together…. People are exhausted. Sometimes it’s because of life, stress, and generally being too busy. Sometimes it’s the mattress and sleep sanctuary. Whatever the cause, people are TIRED and the mattress industry can help. What if mattress stores and manufacturers advertised naps? The BSC says to test drive a mattress for at least 15-20 minutes, the ideal nap is 10-20 minutes, so why not bring the bleary-eyed folks of the world into mattress stores for a nap, and hopefully in return, a new mattress, or at the very least, a piqued interest in a new bed? Seriously. How perfect is that? I challenge the industry to advertise naps, and who knows? You may sell some beds in the end.